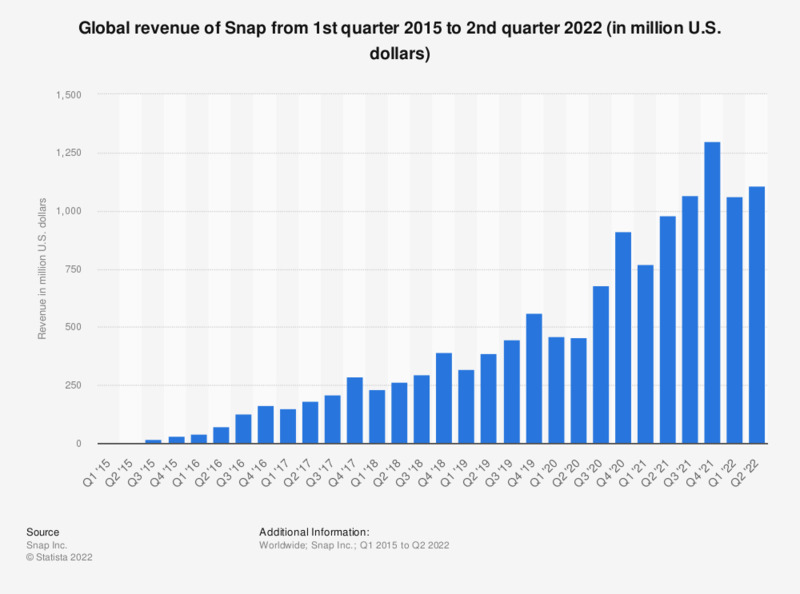 This statistic presents the quarterly revenue of mobile messaging platform Snap. As of the fourth quarter of 2018, the chat app company had generated 389.8 million U.S. dollars in revenues, up from 297.7 million U.S. dollars in the previous quarter. As of fall 2018, Snapchat was the most popular social network among teens in the United States, ahead of Instagram and Twitter. As of the fourth quarter of 2018, the social photo sharing app had 186 million daily active users worldwide.